I’m super excited to show you this new box! 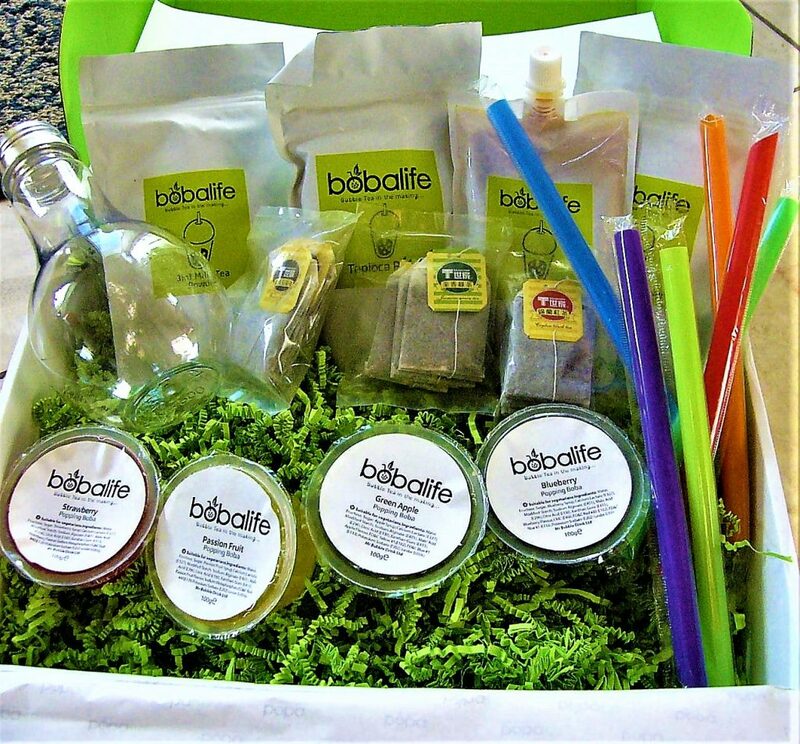 The box is called Boba Life and it brings you items to help you make different Boba drinks. 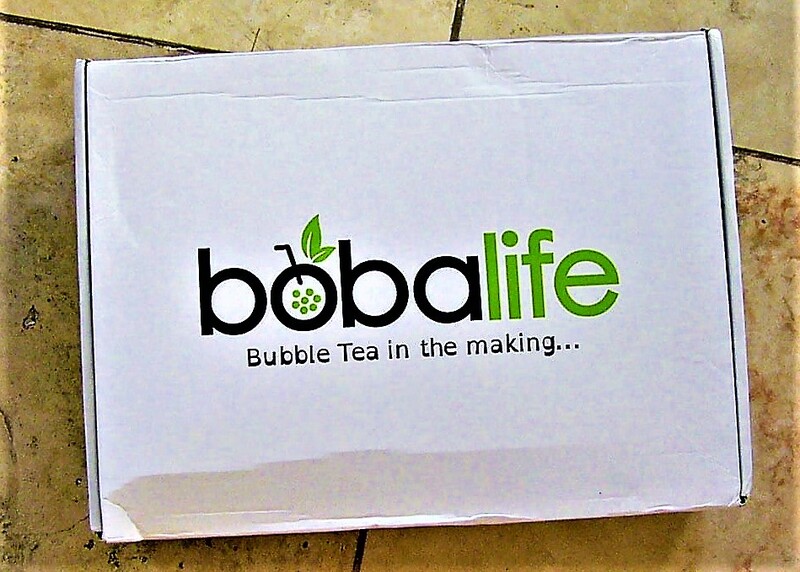 I am a huge Boba fanatic, so this box was a huge win for me. I hope that you love it as much as I do! 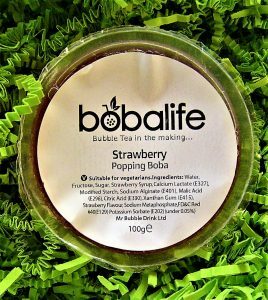 Here at Bobalife we are passionate about Bubble Tea and have many years of experience in creating amazing recipes, sourcing high-quality ingredients and coming up with the most creative ideas. In the same way, as coffee lovers have their Barrista’s we hope to recruit you all to become our Bubblista’s, skilled in the arts of Bubble Tea making and spreading the word to all you know! 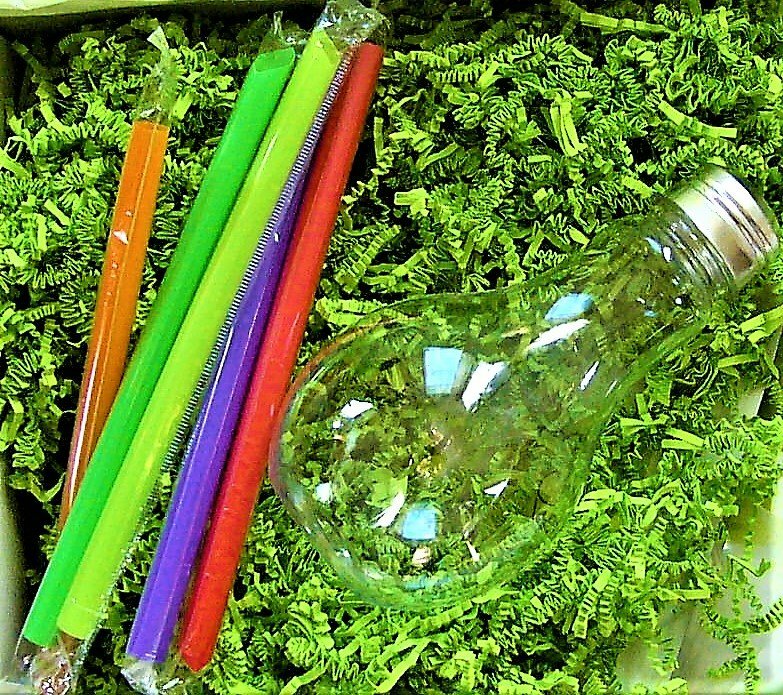 The contents of the box are concealed in custom tissue paper and green shreds! I love the professionalism of the packaging. 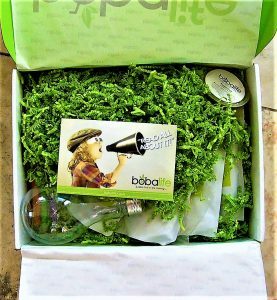 The box also comes with a booklet with directions on how to make different Boba drinks! 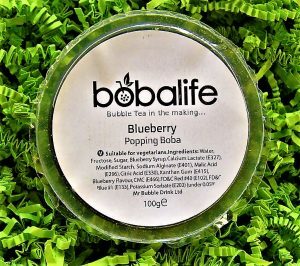 This is helpful for those who haven’t made Boba before. The directions are very easy to understand, and they outline everything included in the box! 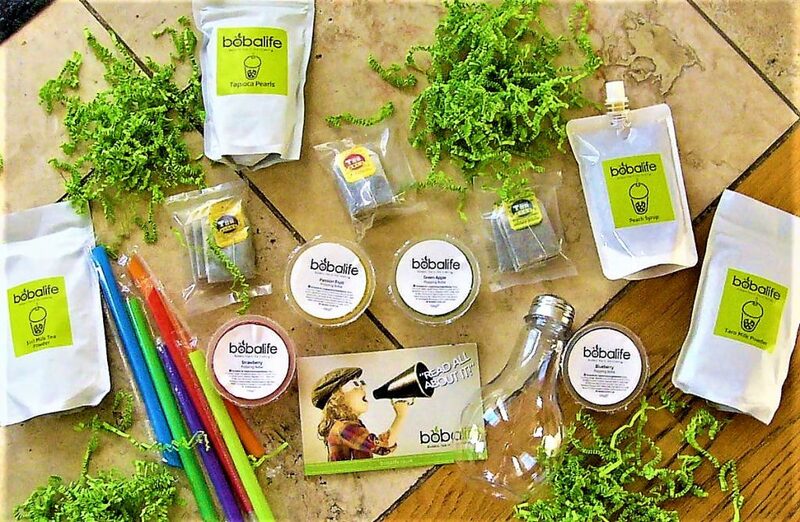 The first item included in the box is this adorable light bulb drink holder! The cup also comes with straws big enough for the Boba drinks. 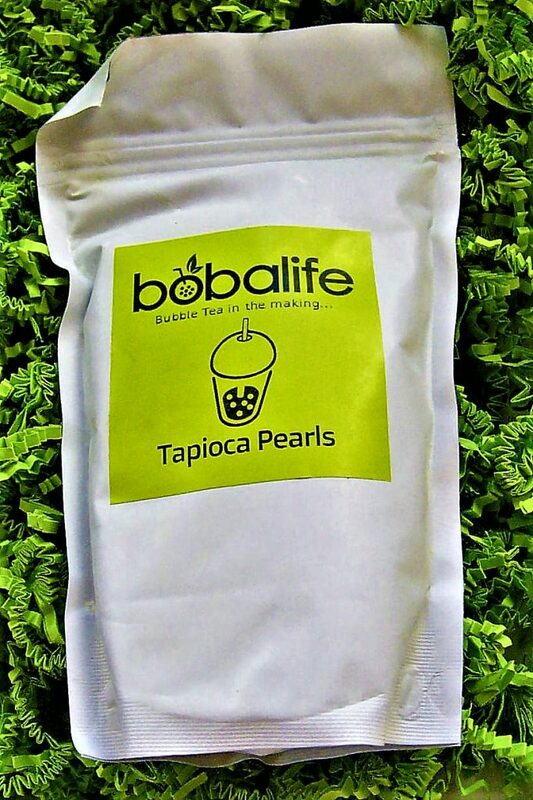 The next item, of course, is a bag of traditional tapioca pearls! 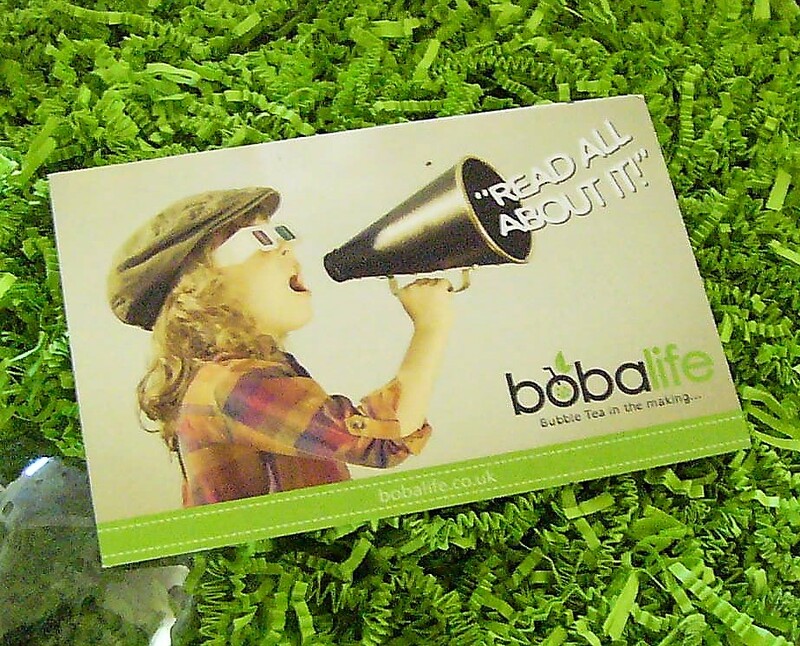 These pearls are what make the Boba in the Boba drinks, and they are packaged in exclusive Boba Life packaging. 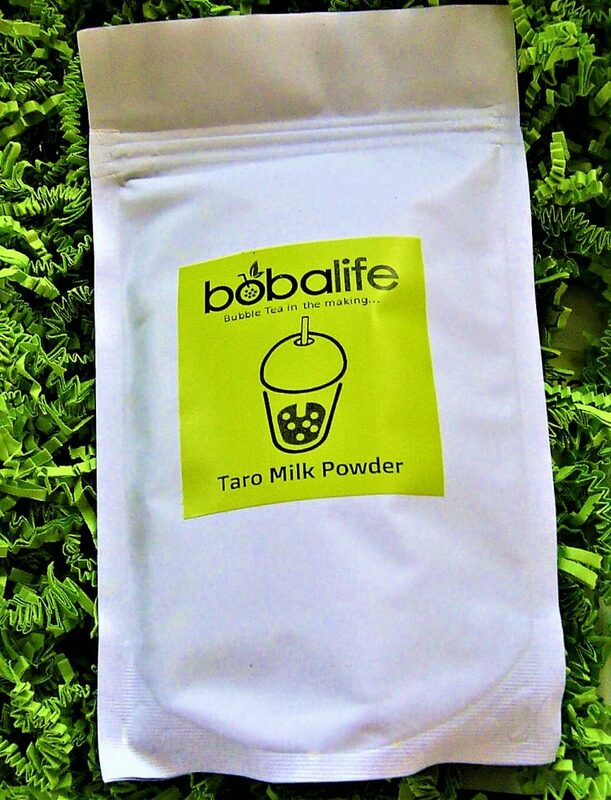 The next item is a bag of Taro Milk Powder! Taro is one of my favorite flavors for Boba drinks, so I am so happy to receive this. The powder can be used to make the drink, and additional sugar can be added if needed. 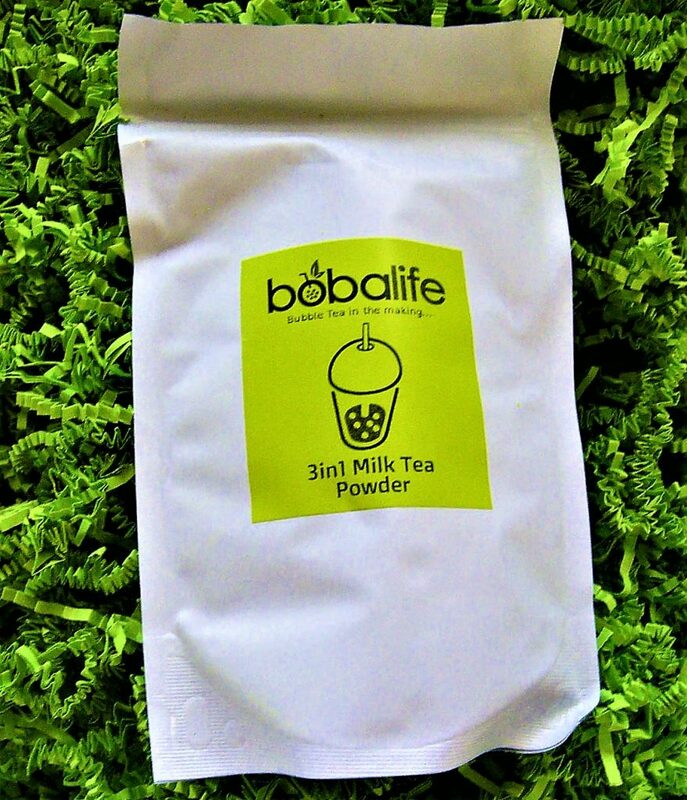 Also included is this bag of 3in1 Milk Tea Powder! Milk teas are my favorite form of Boba, so I will be putting this to great use. This powder can be used with the next items included in the box. 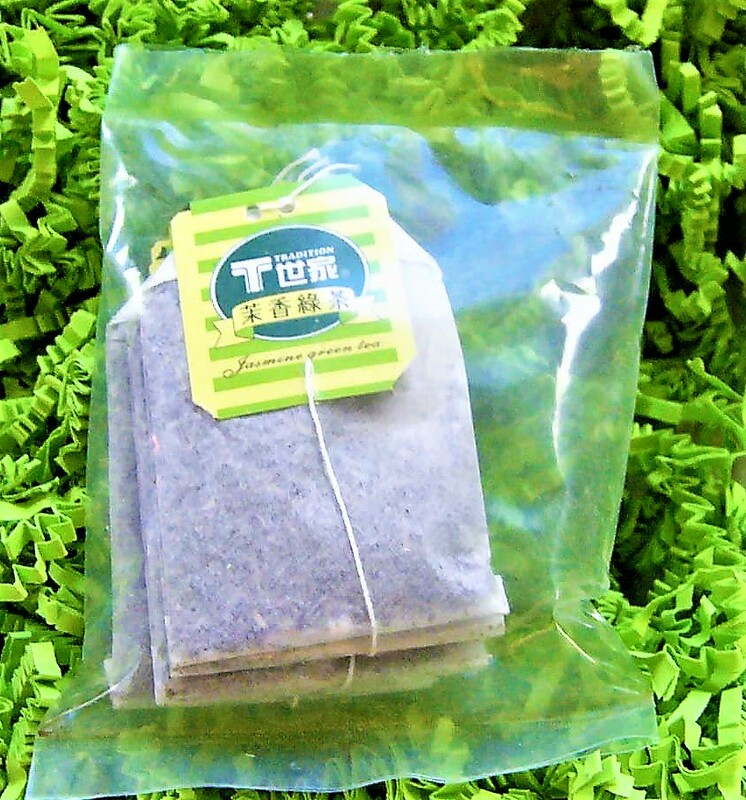 The first tea bags included in the box are Jasmine Green Tea bags, which are my all-time favorite teas! 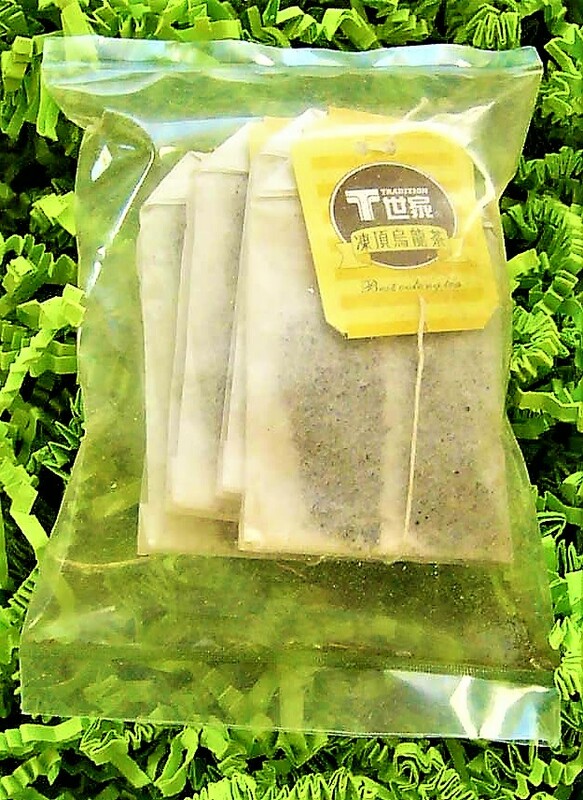 These bags can be combined with the milk tea powder to make a creamy tea Boba. Next are these Oolong Tea Bags! I am excited to try these since I don’t have the opportunity to have oolong tea a lot of the time. 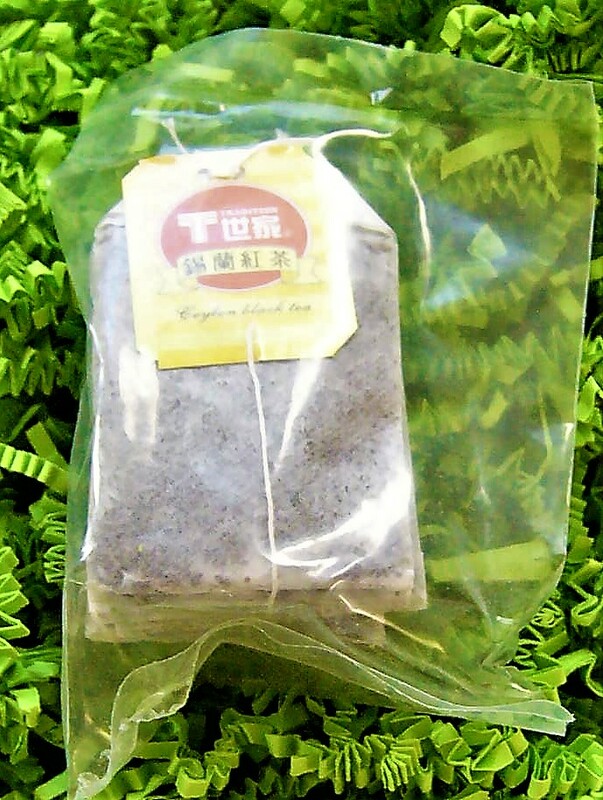 The last set of tea bags is a set of Ceylon Black Tea! I love the taste of Ceylon tea, so I will be using these up. 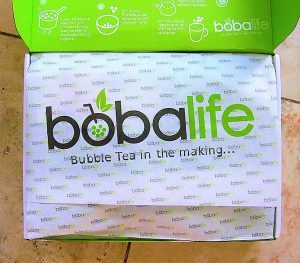 I am blown away by how many teas are included in Boba Life! 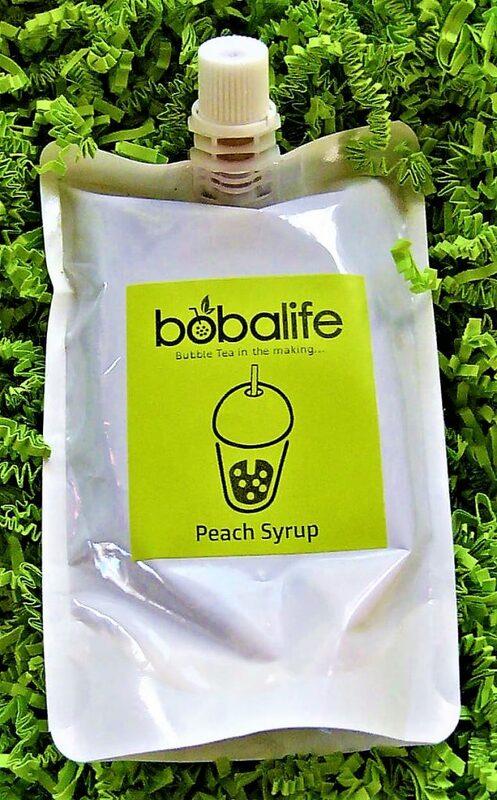 The next item is a pouch of Peach Syrup! Peach flavored Bobas are delicious, so I am so happy that I received this flavor as well. I am so happy with the different flavors that have come in this box. 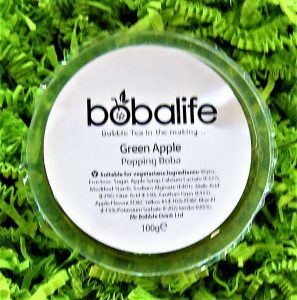 Last are these different forms of popping fruity Boba! These are great if you don’t like traditional tapioca Boba and you would like to try a fruitier sensation. 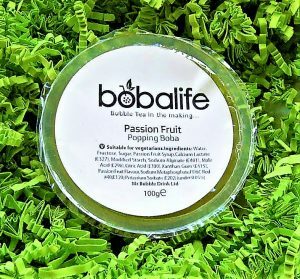 Included flavors are passion fruit, blueberry, strawberry, and green apple! I am in love with all of these flavors and I can’t wait to try them. I haven’t tried a lot of fruity Boba since I usually just get traditional tapioca pearls, so these will be fun to test out!